1901 saw the death of Queen Victoria and the succession of her eldest son, Edward VII (1841-1910), as King of Great Britain and Ireland. As Prince of Wales he had been a prominent social figure. He was leader of the, so-called, 'Marlborough Set', a fashionable and pleasure-loving group of friends. His mother considered him too frivolous to take part in political life. She excluded him from all political responsibility and this left him poorly prepared for his role as King. During the nine years of his, largely uneventful, reign light-hearted public entertainment flourished, inspired by his love of the theatre. These same nine years were to be the height of Lily Elsie's success on the stage. The King saw The Merry Widow four times. 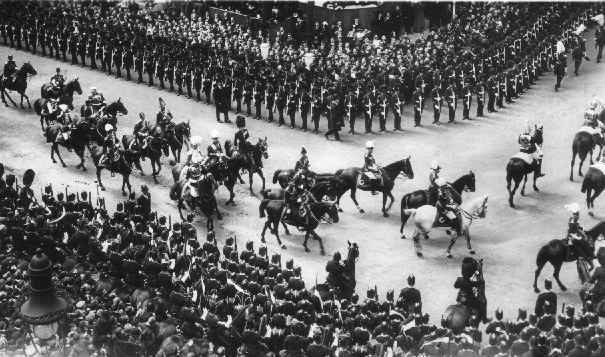 The King's funeral, nine monarchs. Queen Victoria (Hanover) 1819-1901 Married Prince Albert of Saxe-Coburg and Gotha. 9 children. 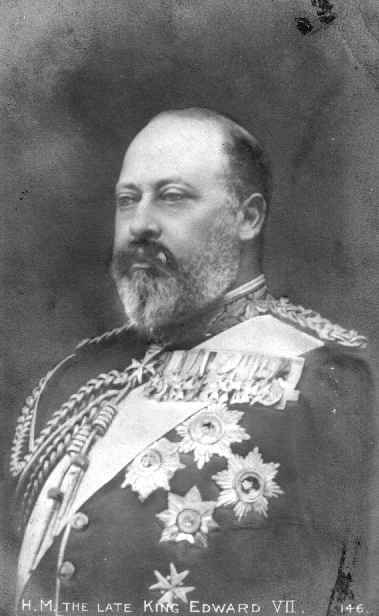 King Edward VII (Saxe-Coburg) 1841-1910 Married Princess Alexandra, daughter of Christian IX, King of Denmark. 6 children. King George V (Saxe-Coburg / Windsor) 1865-1936 Married Princess Mary, daughter of Duke of Teck. 6 children. King Edward VIII (Windsor) 1894-1972. Abdicated 1936 Married Wallis Simpson, daughter of Teackle Wallis Warfield. 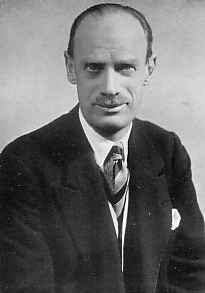 King George VI (Windsor) 1895-1952 Married Lady Elizabeth Bowes-Lyon, daughter of Earl of Strathmore and Kinghorne. 2 children. Queen Elizabeth II (Windsor) 1926- Married Philip, Duke of Edinburgh, son of Prince Andrew of Greece. 4 children. Fortunately for us, these years also marked the advent of the 'real photo' postcard, and so we have many high quality images of Elsie both on & off stage. Previously the only mass produced images available were by the letterpress, half-tone process. You can see some of these on this site. They are 'newspaper quality' at best. In the 1840s Fox Talbot had invented the first paper-based photographic process and then further developed from this into the negative/positive type process (Talbotype/Calotype). This enabled mass reproduction of images from a single original exposure, and so opened up more opportunities in the new world of photography. In 1854 André Disderi in Paris successfully adapted his camera to take eight negatives on each plate. 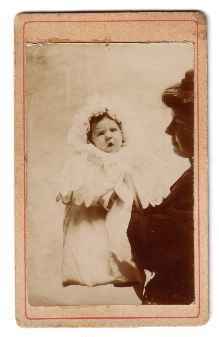 These small photographs were known as Cartes-de-visite because people exchanged them with friends. "Simone, 2 mois 1/2", a Cartes-de-visite. The Victorian Cartes-de-visite only fell out of favour following the development of roll film and Kodak cameras during the 1890s. Now that people had a simpler way of exchanging images of themselves, photographic postcard production switched to images of people in the public eye. 'Celebrities', such as Miss Lily Elsie. The British Post Office had only permitted the use of picture postcards from 1st September 1894. Previous to that date postcards were plain, produced by the Post Office with a printed stamp. From 1902 the 'divided back' cards were allowed and hundreds of private publishers came into business. 'Real Photo' cards were produced in their millions. The cards sold for 1d each and could be posted inland for a ha'penny. The cards depicting actors and actresses provided both advance publicity for stage productions, and an attractive souvenir for theatre goers. Many performers posed for these cards in costume. 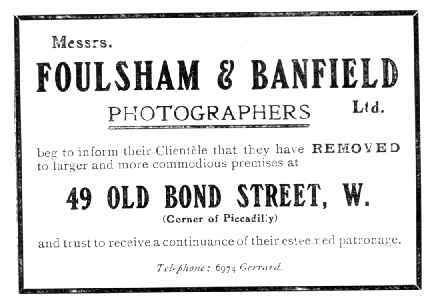 Frank Foulsham, photographer of Foulsham and Banfield, publishers of the Rotary Photo cards. Full index of postcards on this site. Theatrical entertainments at this time covered a wide spectrum of genre; at one end, the boisterous productions of the music hall, and at the other, thought-provoking legitimate theatre. Between these extremes we find musical comedy. More melodious than music hall, more light hearted then main-stream theatre. The was the heyday of live theatre. However, further technical developments in photography, William Friese-Greene's celluloid motion-picture film and Edison's first kinetoscope (both 1889), followed by the Lumière brothers' Cinématograph and the improved Armat-Edison Vitascope-Kinetoscope in 1895, had planted the seeds that would grow into theatre's first great rival - the cinema. In Britain, where fourteen new theatres had been built in London alone between 1880 and 1900, there were no less then 5,000 cinemas by 1914: 300 of these were in London. The battle for the mass audience that developed between the theatre and the cinema after 1900 was largely fought over the question of which of the two media could supply the most convincing illusion of reality. The increasing levels of stage-realism lead to higher production costs and the development of larger, more technically advanced theatre buildings. These more costly productions changed the emphasis of theatre management. 'Star billing' and long runs came to assume an overriding importance at the expense of artistic considerations. This was the start of what we have come to call 'commercial theatre' and with it 'show business' - vigorous, glamorous, and ruthlessly efficient. And so to Musical Comedy: this genre had its origins in the hugely popular operettas of Johann Strauss in Vienna, Offenbach in Paris, Gilbert and Sullivan in London. These operettas were followed in the twentieth century by musical comedy favourites such as The Merry Widow (1907), The Dollar Princess (1909), and The Count of Luxembourg (1911). During the inter-war years the genre was championed by Noel Coward with Bitter Sweet (1929). By this time American alternatives were becoming increasingly popular, for example No, No, Nanette (1925), The Desert Song (1927) and Showboat (1928). Star Billing was used to secure the loyalty of audiences. Commercial managers, like Edwardes, employed the talents of excellent actors and actresses with trained singing voices and fashionable good looks. Stars such as Miss Lily Elsie. In America the advent of 'the talkies' in 1927 began to project such formidable singing stars as Al Jolson into cinemas world-wide as alternatives to live shows. The decline of theatre as mass entertainment had started. When Elsie opened in the leading role of The Merry Widow (1907), her salary was £10 per week. By 1911 she was earning £100 each week for playing in The Count of Luxembourg. Click here for some Contemporary advertising.